Driving in Australia. I was very leery of running into kangaroos — given the number we saw dead along the side of the road! Hitting a full-grown kangaroo would be very similar to hitting a deer or moose. Australia seems so far from Canada and, for whatever reason, was never high on my list of places to visit. So, imagine my delight when my employer, Chosen People Ministries, asked me to spend a week there, sharing my knowledge and experience with our new associate office, Celebrate Messiah Australia. I had a fabulous time. The people were warm and friendly. I saw kangaroos and drove successfully on the left side of the road. 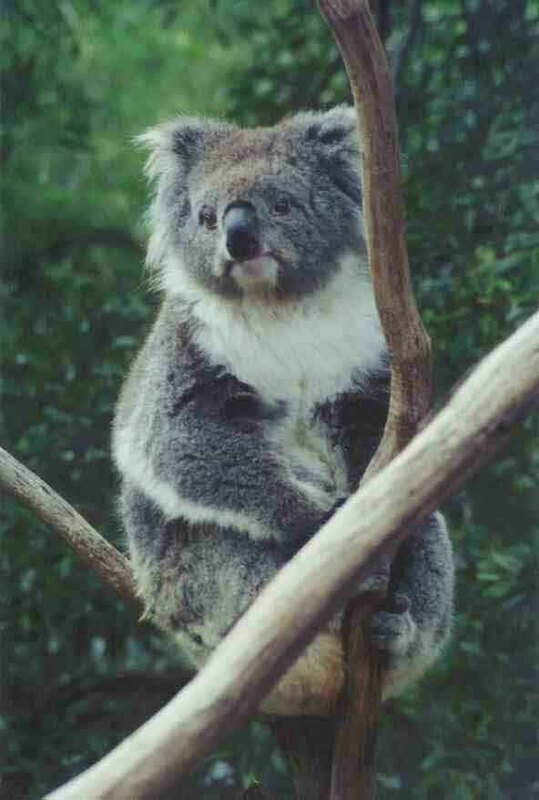 But I think I’ll have to go back … I never did get to see any koalas in the wild. What a trip! From Toronto, it took more than 26 hours – probably more than 30 if you count the time I waited at Pearson International Airport in Toronto. As I write this in Melbourne, it’s late Friday evening, I think! It was dark by the time we took off from Pearson. I think the sky was mostly overcast, so I didn’t see anything after we left Toronto. After supper, I snoozed a bit, but the plane really wasn’t very comfortable. After we’d been in the air about five or six hours, I noticed that the sky had cleared. The stars were brilliant and I could even identify the Big Dipper. This was nice since I was headed for a part of the world where that constellation is never seen. I could also see lights on the ground – individual lights that were houses and clusters of lights that were towns. I kept watching because I thought we might be passing the coast of Oregon soon. Sure enough, a few minutes later I saw a string of lights that straggled north and south. Then, nothing. We were over the Pacific. After a 10-hour flight, we reached Hawaii at about 11:00 pm local time. There was broken cloud cover, but I glimpsed what I think was the “Big Island.” A few minutes later, we landed at the airport in Honolulu. I stepped outside the Terminal at one point; it wasn’t overly warm, but it was unpleasantly humid. We all sat for about an hour before we took off in another plane. Next, I had to turn in my checked suitcase at the Domestic Desk. TOTAL CHAOS! At this point, there was only one hour before my next flight. At this point, the staff realized my suitcase no longer had flight tags attached to it! (How did it get this far? Angels, I suspect. 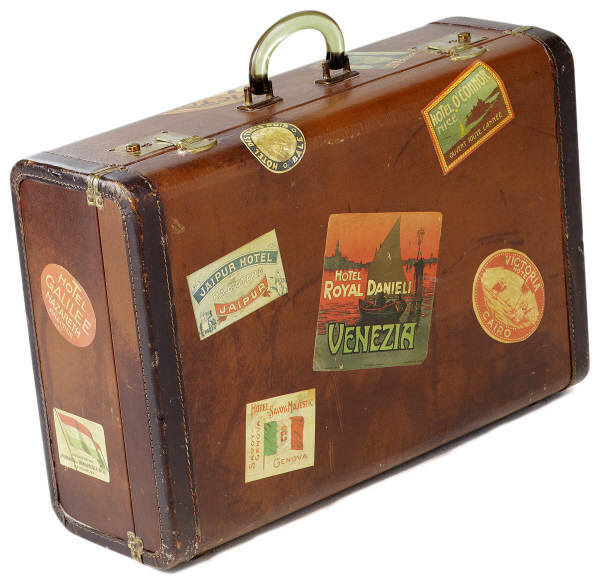 Ask me about the time my luggage disappeared for two weeks into the Vortex of Lost Luggage before coming back to me via Tel Aviv and London.) The very calm staff made new flight tags, took my suitcase and rather casually left it in a pile by the door. I headed out to a shuttle bus that took me to the Domestic Terminal. Here we went through security AGAIN, before I finally found my Departure Gate. I sat for about 15 minutes, catching my breath. How much time did I have before my next flight? Not much! Then a charming staff member came to tell me my carry-on bag was too big for their planes; I would have to take it back to check-in and have them add it to checked bags. Where on earth is that, I wondered! So, off I went again. I checked it through at the front desk and went back through security AGAIN. Only, this time, the adhesive on the baggage claim I was just given caught on the rolling surface of the x-ray machine and disappeared forever into that Vortex of Lost Luggage. I started praying for my luggage in earnest! My last flight was only 1 1/2 hours long. I saw beautiful cloud formations and wonderful green rolling hills and fields as we flew along the coast. After leaving the plane in Melbourne, I was met by Rabbi Harold, one of the Celebrate Messiah Australia staff members. We collected BOTH pieces of my luggage (praise God!) and headed for the parking lot. Of course, I tried to get in the driver’s side of the car (the right side in Australia). Duh! Because Australians drive on the left, everything in the car is reversed. I spent the whole of my two weeks trying to enter the car from the wrong side. It took us about an hour to reach the house where I’m staying. Oh, the glory of a hot shower after a 26-hour flight! I stayed at the home of Jeannette who was on holiday. Lynne was house-sitting for her and looked after me while I was in town. We got along famously. I wasn’t able to sleep through the whole night, but I think that was as much the heat as anything else. The house was pretty closed up and there wasn’t as much air circulation as I’m accustomed to. But the bed was very comfortable! For the next few days, Lynne’s goal seemed to be to show me all of Australia. I was ready for it! First thing in the morning, we walked a few blocks down the street to find a newspaper. I was suffering mildly from jet lag, but rather severely from caffeine deficiency. We didn’t find a paper, but I did spot a café. The coffee wasn’t very good [I never did have very good coffee in Australia], but I enjoyed sitting at the sidewalk table watching cars drive the “wrong” way, chatting with Lynne. As we walked down the street, I grilled Lynne on every plant we passed. Everything looked, smelled and sounded different to me! The foliage here is much more succulent than ours in Toronto. Every yard seemed to be filled – absolutely filled – with roses. I’ve never seen so many before. They were spectacular and in every single yard. Everything was new to me. The birds sounded different. The scents of the trees and flowers were different. I kept asking Lynne what everything was and she usually said in her great Australian accent,“Ah dunno.” Of course, I’d probably be in the same situation if I were showing her Canada. Maple trees and trilliums might be my limit! Homes, at least in that community, appeared to be much more individualistic than Toronto’s. They were very cottage-y. As in so many milder climates than Canada’s, these houses seemed far less substantial than I’m used to. Many are made of brick but, somehow, you can just sense that there’s little or no insulation! But they were architecturally charming, nonetheless. My impression was that most homes (and stores, restaurants, etc.) had neither central heating nor air conditioning. After coffee, we headed downtown to the Victoria Market, a large indoor craft and vegetable market. I guess by Aussie standards it’s indoor; it has a roof. After a short browse, we had lunch at their riverside version of Toronto’s Harbourfront. This area was very beautiful and, I thought, very uncrowded considering it was Saturday. Afterward, we took the footbridge across the Yarra River and walked a few downtown city streets. There were more crowds here, but still neither the number you’d see in Toronto, nor the international or ethnic scope. I also noticed that so far, I hadn’t seen any parking lots, just street parking. We went to the Russian congregation at 2:00 pm. They were very sweet and kind people, asking me many times about the Russian-Jewish believers in Canada. As I gave my testimony, they translated it into Russian. As usual, I didn’t make it easy for them. I just get so fascinated by the translator’s work of turning my words into another language, I lose my train of thought. I also say too much before giving them a chance to translate. After a rest back at the house (the jet lag didn’t really seem to be bothering me! ), we met Harold for a tasty supper (sorry – “tea”) at a small Italian restaurant. Prices seemed to be about the same or slightly less than in Toronto. I found I was missing much of everything that was said. If there was any extra ambient noise (like traffic), I was lost! Actually, the Russians were much easier for me to understand than some of the Australians who seem to have alternate words for everything. New word for the day: “chewie.” As in, “Would you like some chewie?”Translation: gum. 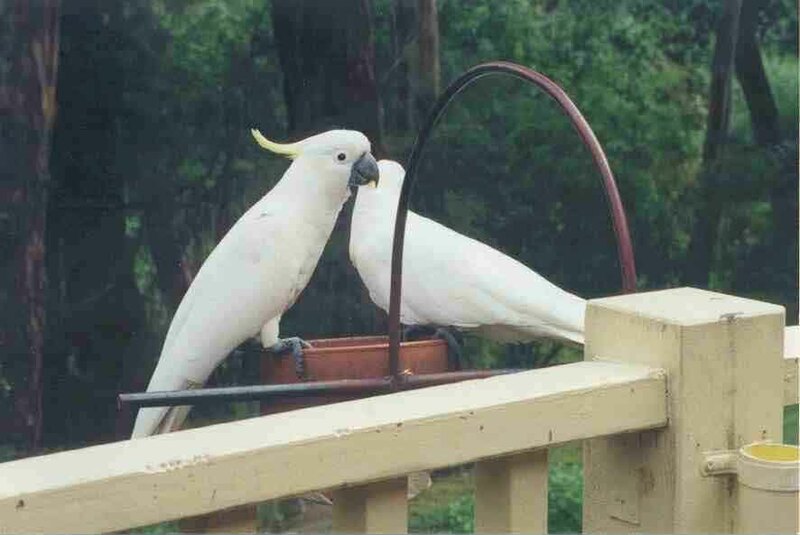 Cockatoos. The only thing that could make coffee and a scone taste better was to share the patio with such beautiful birds! I feel like I’ve been here a week already. Lynne has had me trooping about non-stop. She also chats non-stop, so I’ve been learning a great deal. This is really helpful, because I’m full of questions. This morning, we started out to meet Louise (wife of CMA’s director, Lawrence) for coffee at about 10:00 am. However, by the time we reached the coffee shop, it was closer to noon and I was in serious need of some caffeine. Also, we’d been driving maniacally through a very hilly region, reminding me a great deal of the San Francisco suburbs and, because I was in the backseat, I was very, very carsick. The caffeine and a fresh scone with jam and cream helped a lot! Louise and Lynne kept telling me to bring my camera on this trip. Why? The coffee shop is in heavily forested suburb and is situated on a rise by a river – lots of trees and underbrush. As we entered the outdoor patio, which is raised above the valley floor, there were two wild cockatoos sitting at the birdfeeder attached to the railing. We sat right next to them; they were so close I could have touched them. Other birds came while we sat there, including a goanna (a cream colour with a rosy breast) and some other spectacularly coloured birds. We also saw a kookaburra sitting in a nearby old gum tree, but he was not laughing. By the way, gum trees are eucalyptus trees. After we’d dropped Louise off at her home again, Lynne and I headed further northeast to the Healesville Sanctuary. The countryside was beautiful with higher hills than we have in most of southern Ontario. The hills are forested, but the valleys are covered with vineyards and sheep – more sheep than I’ve ever seen in one place. I was sorry not to see koalas in the wild, but this one at the Healeville Sanctuary posed for me very nicely. By the time we started to head back to the Hirschs’ home for supper, Lynne and I were ready to drop from the heat and the long day. On the way, we pulled into a plaza (with a parking lot!) and Lynne announced, “Let’s pick up some chook for tea.” At first I wasn’t sure what I’d heard her say and wondered if chook was another word for chocolate. No, chook is another word for chicken. She bought some cooked chicken for dinner. We did have a wonderful “tea” on the Hirschs’ deck with the kids. It was beautifully mild after a hot day and I enjoyed watching the sunshine on the valley fade away. Before we left for home, Louise asked me if I’d like a magnum. “Aha,” I thought, “another word game!” A magnum? A magnum of champagne? A Thomas Magnum? Nope. Louise was asking me if I wanted some chocolate. Go figure. I’m en route to the Celebrate Messiah offices by public transit. I’ve managed the tricky business of purchasing a tram ticket from the local milk bar (convenience store). Now I’m back at my sidewalk café with a muffin and a cappuccino. After I placed my order inside, the woman who served me said, “Taha vatia?” Not understanding her question, I asked her to repeat herself. Later …Well, I’ve successfully negotiated the tram trip. Melbourne is famous for her trams (streetcars). One interesting thing I noticed is that the stops are numbered consecutively. I was told to get off at stop 34. This made it very easy for me — no struggling to read street signs before you pass them. I spent the last week at the Celebrate Messiah office, helping out and sharing as much as I could. I hope and pray they’ll all find this helpful! Each morning I purchased a tram ticket at the local milk bar (convenience store) before walking across the street for a coffee and muffin. This morning I told the Chinese lady who sold me the ticket that it would my last one. When she found out I’d be going back to Canada, she became quite excited and said she used to live in Scarborough where she could get along just in Chinese. Wouldn’t you know – almost the same neighbourhood where I live! I’m astounded at how easily I’ve adjusted to this time zone. Melbourne is 15 hours ahead of Toronto, but I’ve not really had any serious jet lag at all. Each evening they continued to keep me busy. I don’t think I’ve ever felt as welcomed as I do here. Monday evening Lynne and I went to Annemarie and Damian’s home; Annemarie works at CM. Tuesday evening we went to Nicole and Chris’ home; Chris is a member of CM’s Board of Directors. Wednesday, we saw the Australian film, “The Dish” — hysterical. Thursday we went out for dinner with Lawrence and Louise. The restaurant was in the hills near the coffee shop we went to with Louise last weekend. We sat on the terrace and had a lovely time. Friday evening I sang at the Erev Shabbat service again. This weekend, Lynne and I are in the Snowy Mountains (remember The Man From Snowy River?). I was assured it would be fabulously beautiful and it is! They expect the temperature to stay very warm (29C+). When I tell them how cold it is in Toronto right now, the Australians all shudder. Yesterday, Lynne and I finally got away from Melbourne in late morning and headed up to Beechworth, an old mining town three hours northeast of Melbourne. My original plan was to spend the weekend on my own in Melbourne and then rent a car and head west, making a circuit through much of Victoria before returning for my flight home. However, an invitation to spend the weekend at Lynne’s house in Beechworth was too good to turn down. The view from Lynne’s property near Beechworth. To get to Beechworth, we drove through rolling hills as well as some flat ground. I really felt as if we were driving in California. No matter where we went, there were eucalyptus trees in sight. Also, where we would see road kill of raccoons and foxes at home in Canada, here you see kangaroos and wombats. During the whole trip, I saw at least a dozen kangaroo dead by the side of the road. 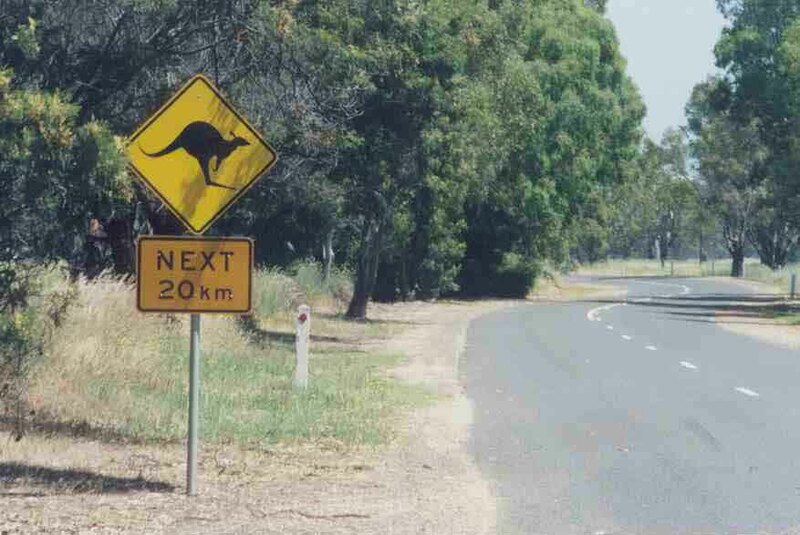 They warn tourists about driving at night when the kangaroos are out. I made sure I was off the roads by dusk. It was hard enough to drive on the left side of the road. I didn’t want to have to worry about missing kangaroos, as well. As we approached Beechworth (“Victoria’s Best Preserved Gold Town”), we took a detour to visit the hilltop property Lynne has purchased with friends. They hope to build homes up there. It’s quite isolated. In order to reach the property we travelled progressively narrower and rougher roads. About four times each way, I had to get out of the car to open and close farm gates. During the process we saw a variety of animals: rabbits, wild parrots and rosellas, two eagles, a kookaburra, cattle and many sheep. And last, but not least, two large bounding kangaroos. This was definitely the highlight of my week! We were driving along a lightly treed meadow that didn’t have too much undergrowth. I glanced into the trees and saw a large kangaroo leisurely loping through the trees. “A kangaroo,” I gasped. “And another!” I cried. Off they went into the trees. Unfortunately, it happened too quickly to get a photograph. When we actually reached Lynne’s property, there was no road and the field was littered with huge rocks that could have easily taken out the bottom of the car. But we carried on, following the faintest of tire tracks in the long grass. At the edge of the hill we stopped and walked about, admiring the view, and waving away the persistent flies. Lynne said I had mastered the Aussie Wave – constantly brushing flies away from my face. Lynne would like to build a large house on this spectacular spot, using it as a retreat for herself and guests. She also talked about how she’d have a tunnel built underground that would provide protection for bush fires. This sounded pretty scary to me. 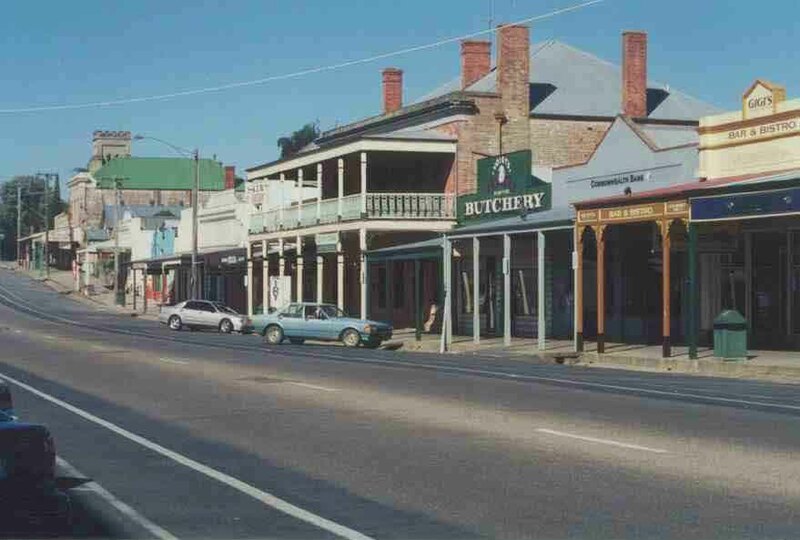 Beechworth — a great town for walking and a little shopping. After our scenic detour, we drove on to Beechworth. It’s a very attractive town with wide streets and well looked after cottages. The main commercial streets have wooden sidewalks and make the town look like it should be called Dodge. Lynne’s century-old cottage, Charnworth, needs a lot of work (she just bought it last year and only comes up from Melbourne occasionally), but it will be very nice when it’s done. She has the ubiquitous roses in the front yard, as well as an orange tree and a lemon tree in the back yard. Afterward, we went down the street to a pub for a very good steak supper. The dining area looked out on a beautiful garden. After walking around town and looking at the nearby man-made lake (little more than a pond by Canadian standards), I was starting to weave from fatigue; I went right to bed when we got back to the cottage. Sunday was very hot – probably about 34 or 35C. Lynne took me to a local restaurant for breakfast. We ate in a backyard terrace café with flowers (including Jasmine) and ferns. Afterward, we drove about to see the local sights: the river and waterfall. They were quite beautiful, but they’re particularly special because of their scarcity. You can see any number of similar watery sights in just about any part of Canada but, in a desert country like Australia, they take on special meaning. We also stopped at the local cemetery that dates back to the gold rush days. Chinese miners are buried in a special section here, although it is said they used to send the bodies home to China. Then again, it’s also thought the coffins they shipped home actually contained gold, not bodies. At this point (about 1:00 pm), I was so hot I suggested we go home to rest. We didn’t go out again until supper (or, tea, as Lynne calls it) when we had another pub dinner of fillet of kangaroo. Although I chowed my way through my dinner, Lynne was having trouble finishing her pasta. When we asked the waitress for a doggy bag to take it home, she told us Victoria has a new law that prohibits such risky behaviour. I suspect some unwary diner left his doggy bag in the car overnight and died later of old food. But, I ask you, what’s the difference between leftover pasta and a take-out burger?! The Snowy Mountains are gorgeous. There are any number of beautiful views like this. This morning, after a toasted cheese croissant at the local bakery (gotta get one of those sandwich makers! ), we drove about 45 minutes further into the Snowy Mountains. The scenery was just beautiful. 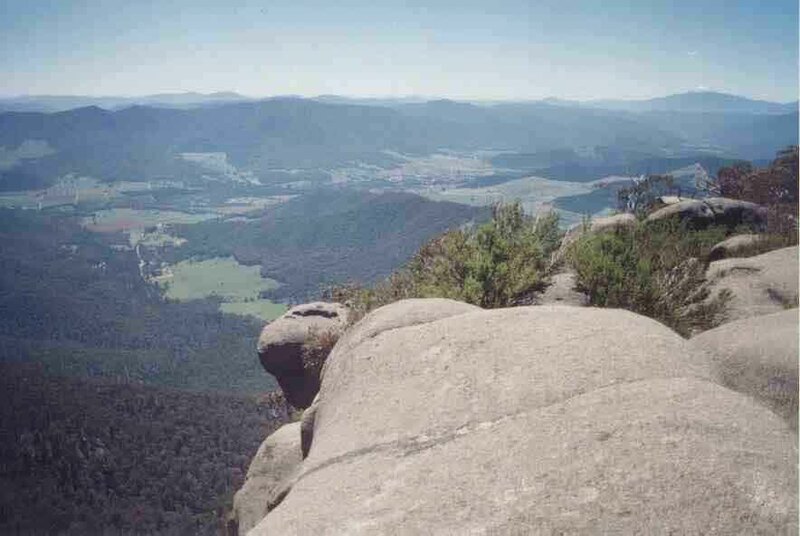 When we reached Mount Buffalo, we started driving up the mountain. The road goes a very long way up and around the side of the mountain – to the very top. The view from there is stunning – very much like the Smoky or Green Mountains in the US. In the Australian winter (July), the mountain is covered with snow and this becomes a major ski centre. We stopped for another toasted sandwich (they’re everywhere!) for lunch at the mountaintop lodge. There are several rather scary cliff-top lookout points. But the real bonus for me was the parrot-like birds in the parking lot. People were hand feeding them! One landed on Lynn’s head. They were really gorgeous. Afterward, we headed back to Beechworth, packed up our things and drove the three hours back to Melbourne where I collected my rental car and said good-bye to Lynne. Now on my own, I headed west and reached the town of Ballarat without any trouble. My two biggest problems driving on the left side of the road are using the wipers to signal (they’re on the left where we keep our turn signals), and aligning the car too far to the left of the lane I’m driving in. I sure hope I don’t sideswipe anything this week. Also, the talk show I picked up on the radio was about how to protect your house from bush fires. This did not inspire confidence. This was also an extremely hot day. I was most thankful to find my hotel room at the Sovereign Hill Lodge in Ballarat had air conditioning (most places don’t). It also had hot water and a working toilet. Lynne’s not-yet-remodelled house in Beechworth had none of the above. I stayed two nights at Sovereign Hill in Ballarat, another goldrush town. The motel is attached to the Sovereign Hill Historical Park. The park was nice, but didn’t keep me interested the whole day. However, it was full of Grade 5 children who were fun to watch. The Eureka Rebellion at Sovereign Hill is an important part of Australian history. Simplistically told: In the 1800’s, the Australian miners were oppressed by the British military. Ultimately the miners said, “Enough already” and revolted. They died for their trouble, but the local British reformed. All Grade 5 minors study about the miners and many are able to stay at Sovereign Hill with their classes for several nights in order to experience the whole thing. Most of the kids and teachers wore period clothing during the day as they wandered about the park — very charming. However, it was so hot, I had to rest in my room by late morning. I just can’t take the sun and heat! The high point of the morning was the tour I took in the cool and dark goldmine. During the afternoon, I went into downtown Ballarat and did a little shopping, but I soon wilted and returned to my hotel room. Actually, after the busy time I’d had since my arrival in Australia, it was a pleasure just to rest for a bit before I went to the special evening events I had booked. Part of the hotel/park package I had purchased included a buffet dinner in the park – a delicious roast lamb meal. I ate with a young English couple from Manchester. They sounded more like Coronation Street and I understood them better than many Australians. Afterward, we took in the park’s sound and light show, “Blood on the Southern Cross” (the story of the rebellion) – with several hundred Grade 5 kids. The program had a rather slow start, but picked up significantly during the evening. By the end of the show, I was ready to pick up a rifle and fight the British myself. This morning I tried vegemite on my toast. YUK! This is definitely an acquired taste. Only an Australian could eat this stuff. It’s a blackish spread that is positively revolting, but dearly loved by many Aussies. It cooled off drastically yesterday at suppertime, so today I actually was able to wear long pants rather than shorts. After checking out, I headed west through rolling fields, often filled with sheep. At one point, I saw a man in a tractor herding sheep. Gradually my destination, the Grampian Mountains, came into view. They’re very beautiful, but don’t cover a very large area and I don’t think they ever see any serious snow. After checking into my motel in Hall’s Gap, I drove a scenic route through the hills. It was slightly nerve-wracking – narrow, winding, drop-offs galore. The only bonus was that in almost four hours of these scenic roads, I passed no more than a dozen cars! However, I kept wondering how long it would take them to find me if I decided to run my car off the road. Near the beginning of my scenic drive, I spotted a walk that turned out to be a short trail to a waterfall. I walked through a beautiful valley to see this spot; the waterfall was quite high but didn’t have much water. The path was nice – rolling through a eucalyptus forest. I kept tripping because I was scanning the treetops for koalas. I nearly sprained my ankle two or three times doing this. Not smart. Once, because I was watching the tree tops, I almost stepped on an 18-inch snake. Since a lot of Australia’s snakes are poisonous, this is really not good. No koalas, but I did see parrots and heard bell minor birds and saw a little lizard. Tonight I had supper at a bistro after being pulled over by a policeman who was apparently giving every driver a breathalyzer test. Because I’m not a drinker, I’m a little hazy about Canadian breathalyzer laws, but I thought in retrospect that this might not be permitted without good provocation at home. However, I may be wrong about that and have just never had the pleasure of such a test. This afternoon and evening, the racket from the flocking corellas (a crow-sized white bird) is horrendous. Literally hundreds of them surround the hotel. I sure hope they sleep somewhere else. Well, the corellas did go somewhere else to sleep, but they came back – at 5:16 this morning. “Caw-caw! Caw-caw! Caw-caw!” I think they’re under contract to Alfred Hitchock! I asked the motel owner if they’re always like this. Notice the sheep in front and the kangaroos further back. After a 7:30 breakfast in my room this morning (without vegemite), I headed south on a route that would eventually take me out of the Grampians. Only a short way down the road, on the outskirts of the village of Hall’s Gap, I saw some sheep in a pasture by the road. I’d been looking for a good spot to photograph some sheep, so I slowed the car, considering whether or not I should stop for a photo. Just as I decided not to stop, it dawned on me that one of the creatures I’d seen under the trees at the edge of the pasture was not sheep-shaped. I immediately stopped the car and walked back. 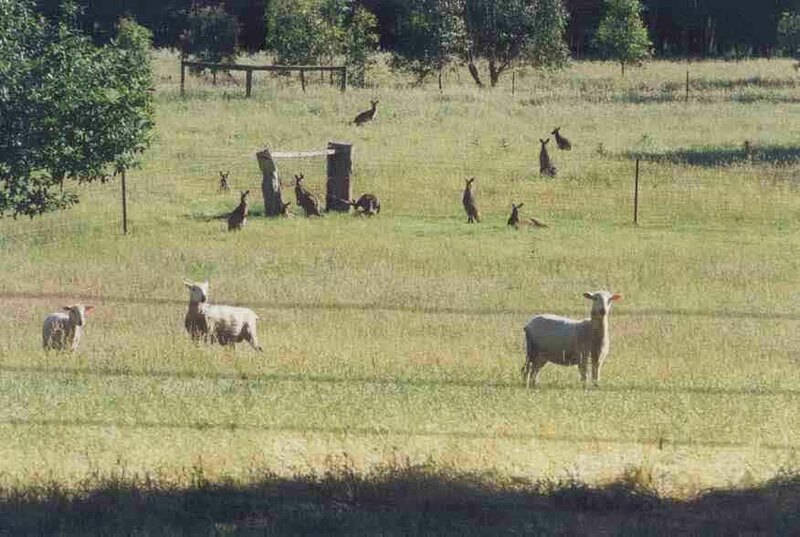 Sure enough, there was a kangaroo sitting in among the sheep watching me watching them. I took a quick shot of him and then framed a photo of the greater part of the pasture. What did I see through the lens but a whole mob of kangaroos at the back of the field – ALL watching me watching them! The one at the front hopped back to join his friends. A very excellent sight! The road south was beautiful. Once a red parrot or rosella nearly flew into the car. Another time, I saw brilliant green birds fly across in front of me. But there were no signs of emus or koalas. The mountains ended very suddenly and, immediately, I was driving through rolling fields. These lasted until I reached the ocean at Port Fairy. Driving along the coast, I stopped in Warnambool for a lunch of flake and chips. Australia has fish-and-chips restaurants more than anything else; I saw very few burger joints. The fish restaurants all offer quite a selection of different types of fish (usually a dozen or more), but I highly recommend the flake. Once Lynne introduced me to it in Melbourne, I ate it at every opportunity. Australian fish-and-chips is much better than in Canada! 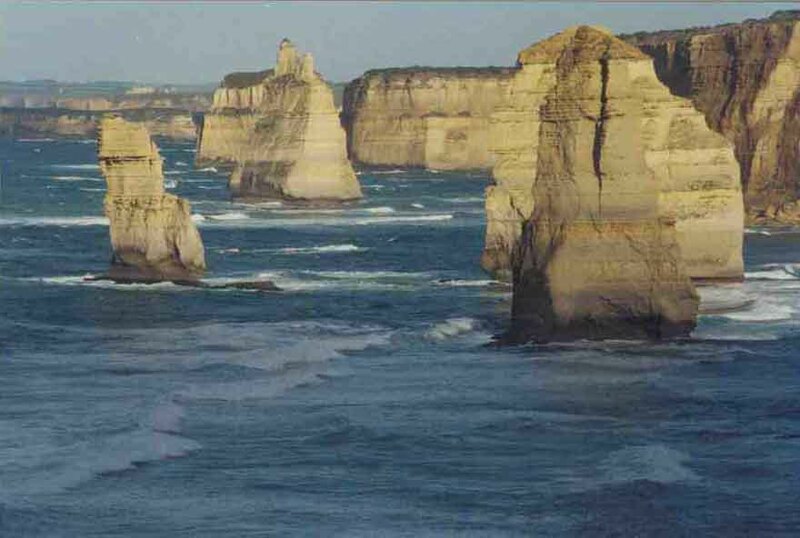 After Warnambool, I began driving The Great Ocean Road – one of the great roads of the world. This section of the road (from Warnambool to the Twelve Apostles) is a very easy drive. You just sail along the heath – no cliff tops close to the road. It was beautiful. I stopped at the Bay of Islands, Bay of Martyrs, the Grotto, the Arch and the Twelve Apostles – all points of land curiously shaped by the wind and waves. At each of these spots you can park the car and walk to a well-maintained overlook spot that is usually full of tourists. However, the distance from the parking area to the viewpoint is usually about half a kilometer or more. By the end of the day I was exhausted! This part of the weathered shoreline along The Great Ocean Road is known as the Twelve Apostles. Although there may have been 12 rock towers standing here originally, I understand they’re now reduced to 9 or 10. Still beautiful! I stayed the night at the Twelve Apostles Motel, just three kilometers north of the ocean on a dirt road. It was very nice, with a few farm animals (angora chickens, a huge pig, and a sheep) and a heated swimming pool in the barn. There was a little rain this evening and the wind is quite cool. Tomorrow I head for Geelong (pronounced “Ja-LONG”) and then Melbourne. I spent the morning driving the rest of The Great Ocean Road, almost to Geelong. It changed in character quite a bit, becoming more breath-takingly situated on cliff edges. After a certain point, this was more tiring than interesting; I was glad when it was finished. Mait’s Rest was a great opportunity to stretch my legs and enjoy a tiny pocket of rainforest. I did stop for coffee in the beautiful seaside town of Apollo Bay and also to walk through the rainforest at Mait’s Rest. This is a beautiful, short and easy walk through an extraordinary sight. Highly recommended. In this pocket-sized, temperate rainforest was also the only time I encountered rain during the day on this trip. 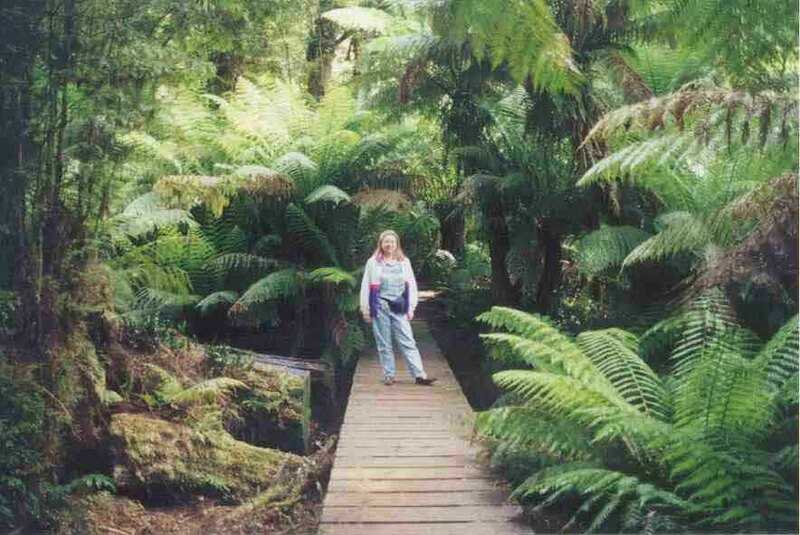 I really enjoyed the fern trees. I’ve never seen anything like them: bulky, rough trunks (a little like palm trees) with soft ferns sprouting from the flat top. I spent the afternoon in Geelong, a good sized town, visiting the National Wool Museum where I learned everything I ever wanted to know about wool – and then some. Another drive of less than two hours across country brought me back to the Melbourne airport area where I found a hotel for my last night in Australia. I repacked all my treasures and got a good night’s sleep before returning the car and catching my flight first thing in the morning. My flight from Melbourne to Sydney was a quick one with beautiful views of the Snowy Mountains. Once I reached the Sydney airport, we went through some of the chaos of my arrival, only in reverse. I spent a few hours here before catching the next flight. (Check out the opals for sale in the Duty Free shops!) In Hawaii, I spent another midnight hour at the airport before catching the last flight home. Actually, with all the time changes, I think I reached Hawaii before I left Melbourne! This time, it took me about a week to recover from jet lag. For several days I spent my nights pacing the house and watching late movies on TV. All the souvenirs I brought home turned out to be great hits – especially the kangaroo skins for the kids. My visit to Australia was, of course, too short. However, the new friends I met made the trip much more valuable and gave me special insights into Australian life. The time I spent with Lynne, in particular, was fun and informative. I hope I’ll have an opportunity to show her Canada one day. Australia no longer seems to be so far away. Maybe I’ll have to plan another trip there! You have a very nice travel blog! I’m part of a group of graduate students starting a new life science blog and I am writing my first article about kangaroos in australia. 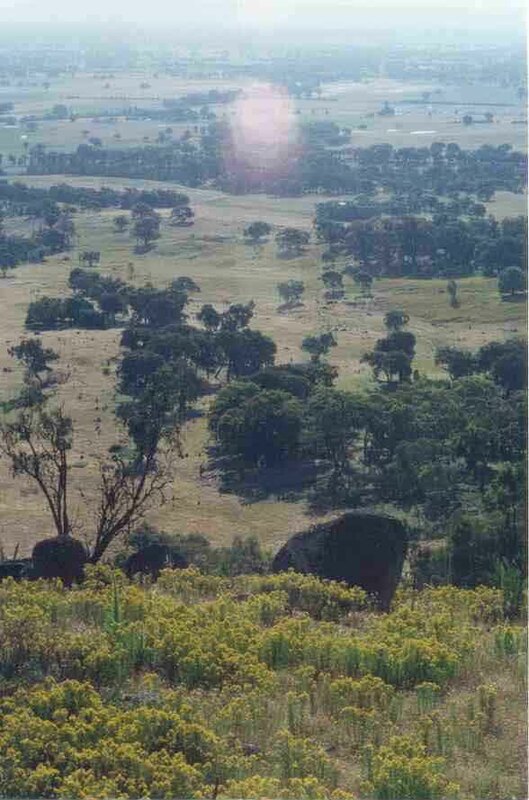 I was wondering if you would let me use your image of kangaroo and sheep (https://anatlasinmypurse.com/australia-2000/) as it is perfect for my story about interactions between Australians and kangaroos. I would attribute the photo to you by writing your name (or blog name/link if you prefer) in the caption. Please let me know if this is acceptable!